London : Scientists have developed a novel blood test that may potentially facilitate the detection of Alzheimer’s at an early stage, giving people up to 15 years warning before the condition develops. “If we wish to have a drug at our disposal that can significantly inhibit the progress of the disease, we need blood tests that detect Alzheimer’s in its pre-dementia stages,” said lead researcher Klaus Gerwert, professor at Ruhr-University Bochum in Germany. The novel test can pick up the “tell tale” proteins – known as amyloid-beta peptides – that characterise the disease as they seep into the bloodstream. The study, published in the journal Analytical Chemistry, analysed samples from 141 patients and found that the blood test achieved a diagnostic precision of 84 per cent in the blood and 90 percent in cerebrospinal fluid, compared with the clinical gold standard. Based on an immuno-chemical analysis using an infrared sensor, its surface is coated with highly specific antibodies, which extract biomarkers for Alzheimer’s from the blood or the cerebrospinal fluid. The infrared sensor analyses if the biomarkers show already pathological changes, which can take place more than 15 years before any clinical symptoms appear. “By applying such drugs at an early stage, we could prevent dementia, or at the very least delay its onset,” said one of the researchers Jens Wiltfang, professor at University of Gottingen in Germany. 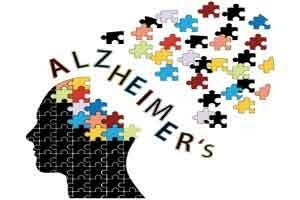 A major problem of Alzheimer’s disease diagnosis is the fact that by the time the first clinical symptoms appears, massive irreversible damage to the brain has already occurred. The patients are left with only the symptomatic treatment. There is at present no drug capable of stopping the physical onslaught of Alzheimer’s disease, the researchers explained.